Well, hello, Singing Fox! So here’s where you went after you poofed away. Come sing with me. Linda, what a fantabulous idea and great surprise! I had to laugh out loud in delight when I saw them. Thank you so, so, so very much for these cute little foxes. They shall keep me company and make me very, very happy. I love the little foxes. Reminds me of my Foxy girl. Love swishy swoosh! Linda! So gorgeous and heart rendering! Those lovely singing foxes! 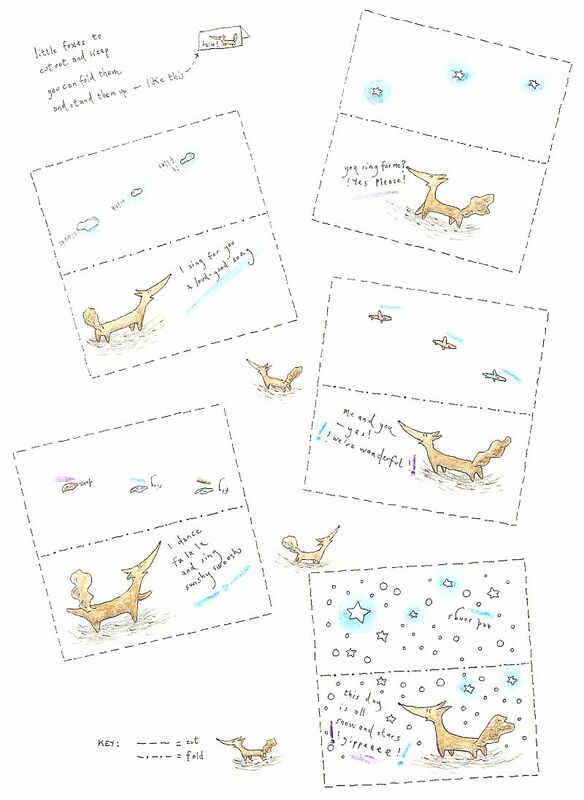 Thanks for the Little Foxes… I will print these out to guard my studio. wooo…this is great. so simple but so lovely.